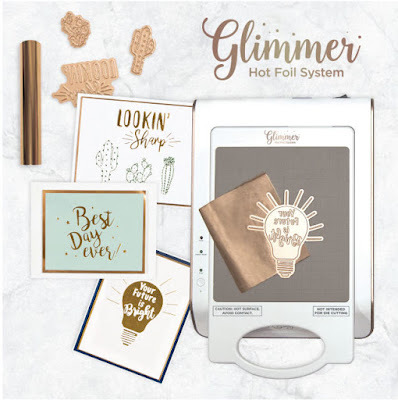 I've had the Spellbinders Glimmer Hot Foil System in my craft room for a couple of months now, and I've been having some fun testing out all the different things that can be done with the machine, plates, and foils! This is the system as it comes in the box - the machine has a base and removable tray, which heats to allow the foil to transfer with the metal plates and other dies. The additional plates create a sandwich that allows you to run the removable heated tray in a sandwich through your die cutting machine. There are plates in the kit as well as foils to get you started on your way. 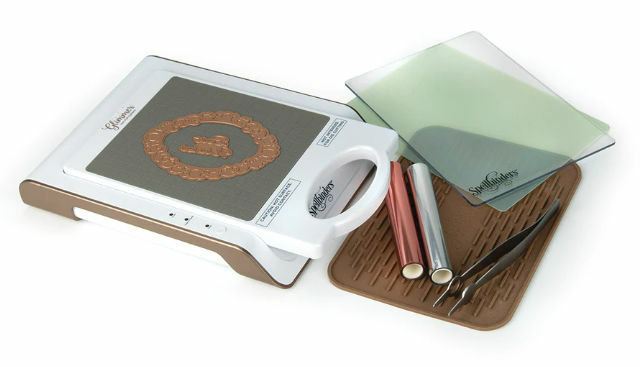 The tweezers are magnetized so that you can remove your hot foiling plate from the tray to the silicon pad and let it cool. There are plenty of tutorials showing how to use the machine, so I'm not going to spend time there. It's a very simple system, and the instructions that come with the machine are very clear. 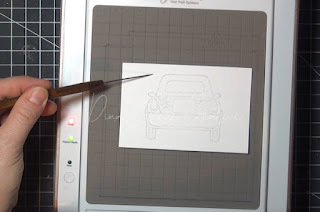 Before I go off the beaten path, these are the basic functions of the foiling plates. These metal plates resemble dies, but they do not have a raised outline for cutting - they have raised solid areas that make contact with the foil in order to transfer it to a number of different surfaces. Here's that result on cardstock. Without foil, the plates can create a beautiful debossed effect. 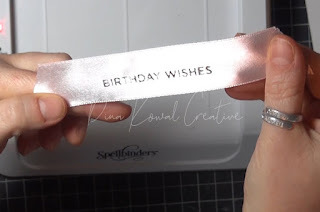 When inked, the plates can create a beautiful letterpress effect (inked and debossed image - Versafine Clair ink used here, which works wonderfully). 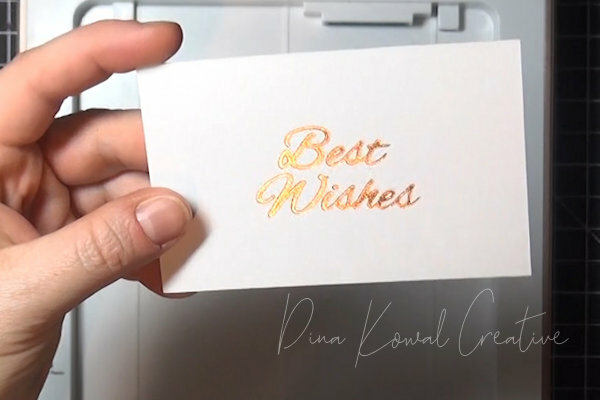 Here's a card done with this technique using the new Stazon Pigment ink - that worked beautifully as well, and cleaned right off the plate with a spritz of rubbing alcohol. I added some color with pencils. 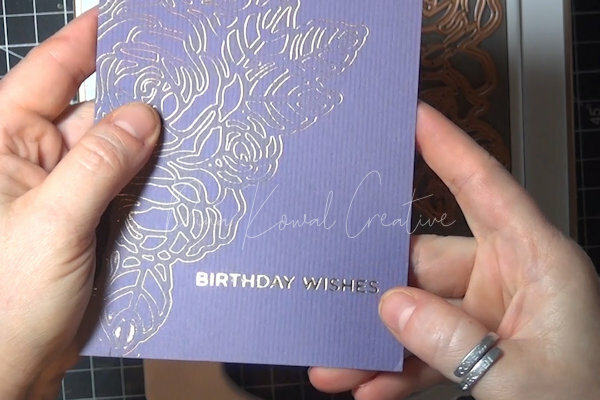 I love the letterpress effect here - love adding texture and depth to a card. You can find this plate HERE. 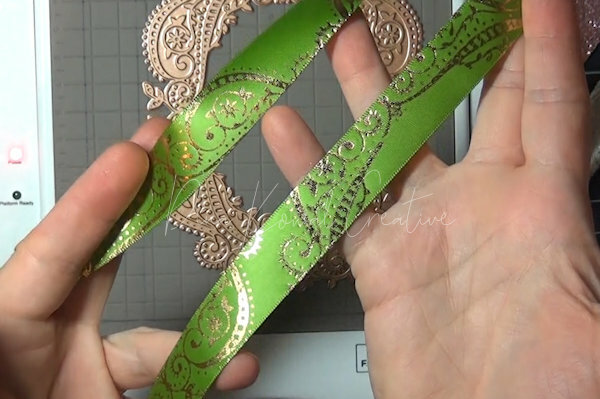 Cutting dies can be used for foiling! Since my collection of dies is much, much larger than my collection of foiling plates, I'm really happy about this. Here's a small sample I did while testing - remember that the foil will only contact and transfer the outline of the die (the lines that would normally cut). 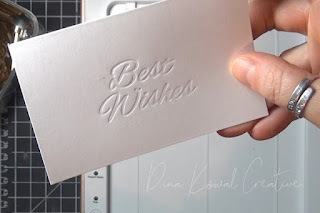 You can click HERE for more about this card sample, done using a foiled die. One more sample here, and for this one I foiled a large cutting die and a foiling plate together. Perfect. Another interesting application for the machine are transfer papers. I haven't played enough with graphite paper to have perfected this, but here's a sample using a waxed graphite paper. 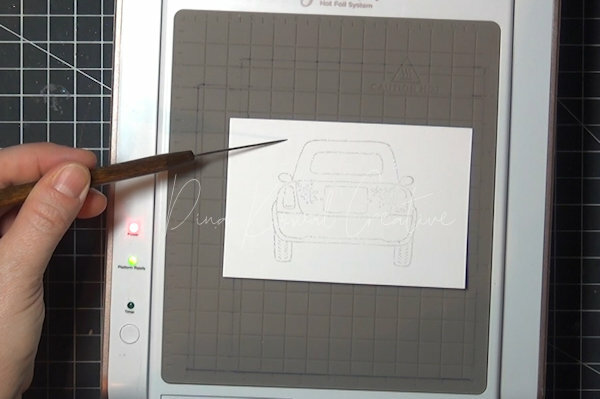 I do know the tray doesn't need to be fully heated for this to work well - it seems to work better when it's cooled a bit, but it's fun to know that you can have a graphite outline of your die images for pencil coloring or a different effect on a card. For this sample I used white Saral transfer paper, and I love that white outline - this will be fun to color, and it really expands the use of dies for cardmaking. 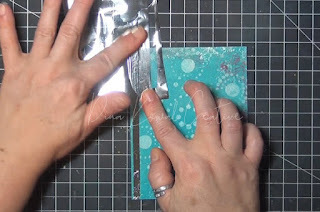 The foil is designed to transfer with heat, but it sticks to adhesive as well, with just gentle finger pressure. 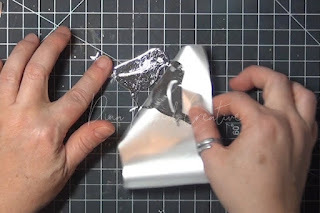 This is a great feature, since it really extends the use of the foils immensely. Here I've added a foiled border to a gel print with just a strip of 1/4" Scortape. TIP: The clear plastic carrier sheet is on the shiny side of the foil, so you'll want that side up when transferring to adhesive. I used a small negative piece here, and pulled the carrier sheet away - any areas that are already transferred, like the "BE" here, will have adhesive still exposed, and you can use a contrasting foil to fill those areas, or pastels, glitter, microbeads, or anything else that will stick to the adhesive. I used some wide Scortape here. I covered the rest of the adhesive with a scrap of rose gold foil. Not really pretty, but I was in experiment mode! Any areas that don't cover well can just be pressed into again. It's very easy, and no heat is required! 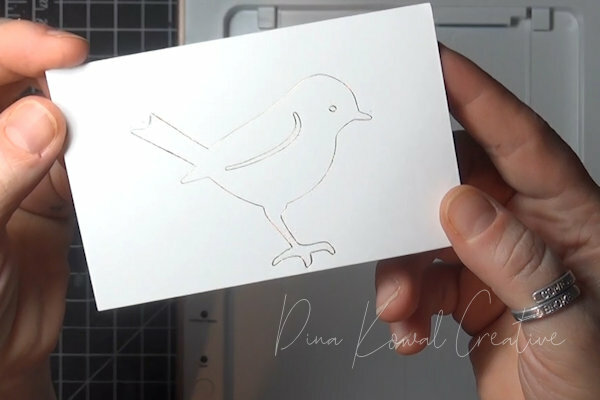 For the next sample, I covered a piece of cardstock with adhesive, and die cut the bird I used earlier. 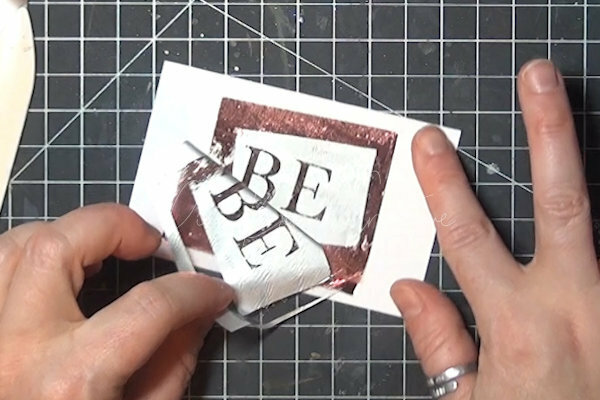 I removed the liner and pressed silver foil onto the adhesive, and I have a foiled die cut. Where there were details on the image, the liner stayed in place (the eye and the little wing line) - I left it there, and then removed it and added a different color foil on those pieces. I was hoping the tray would get hot enough for heat embossing but it didn't seem to quite melt regular powder, and I waited about 5 minutes before giving up. HOWEVER...... it is hot enough to melt sticky embossing powder - that only took about 10-20 seconds. I placed the foil shiny side up and ran the cardstock through my die cutting machine for even pressure on the image, and you might have heard me scream because it worked!! 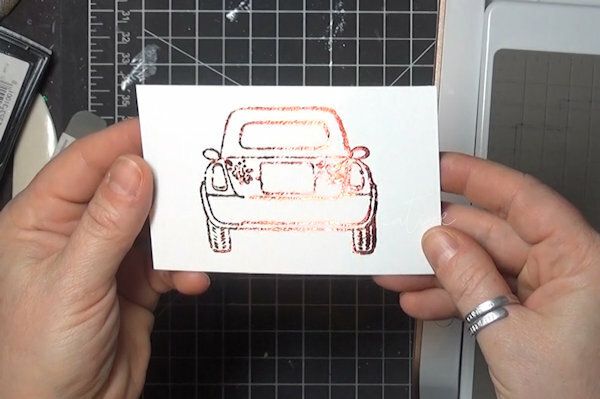 Here's the foiled image - running it through the machine did widen the lines a little bit, and that might not have been really necessary, but I'm still excited to be able to use this machine for foiling stamped images, and I'll play with this some more to see what produces the best results. Another exciting discovery... remember that velvet stamping technique that involved an iron and rubber stamps and always seemed a little dangerous...? Well, I had some velvet paper out to try foiling (which did work, but I needed to adjust the pressure) and that technique popped into my head. GUESS WHAT... it works with the Glimmer machine! Isn't that cool? Now I need to remember where I got this paper. So excited about this. I did try some other non-paper surfaces, and had the best results on ribbon. 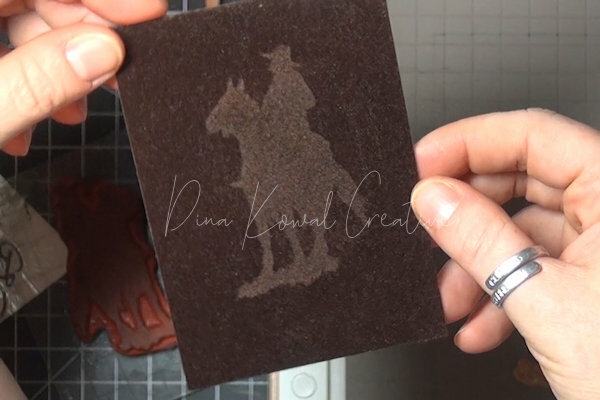 Thicker items can also be foiled (leather, canvas, cork, matboard) but it takes some fiddling to get the right amount of pressure for these... not enough pressure and the foil doesn't transfer - too much and the heated tray will also transfer its grid. 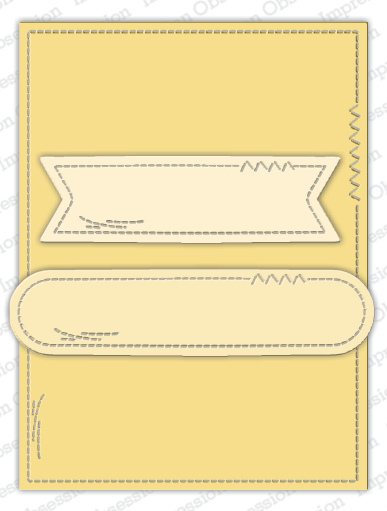 Here are a couple of satin ribbon samples. So I hope you're inspired to try this system out, or to use your system in a new way! If you're wanting to purchase, Amazon has a great price on the machine... also the monthly Glimmer kit from Spellbinders is a great way to collect plate sets and foils, and you'll get a 10% discount on the machine when you subscribe. (The subscription is $20 a month, and you can skip any month if you don't love the kit.) 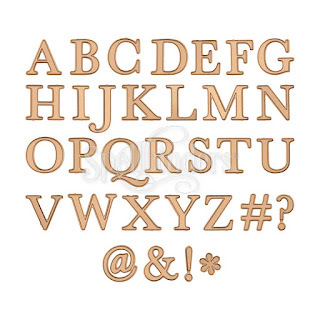 This month's kit is a wonderful alphabet set - it's a great one to start with! Please let me know if you have further questions about the machine that I can answer and test out. I did have a video camera running while I played, and I will try to condense that into something more visual soon. I waited a long time to hop on this bandwagon, but this has been so much fun! It's my turn to share a tutorial over on Splitcoast today - my cards are all very different, but what they have in common is a stamp positioning technique. I'm calling it Stamp Shifting, but with the help of a stamp positioner, these effects can actually be created by shifting the card panel as you stamp! So fun and easy. You can head over to the photo tutorial to see the other samples I created, but I wanted to talk a little more about this card here today! 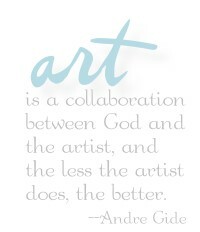 The background was created using this stamp from Whimsy Stamps, and shifting the panel 1/16" for each new impression. I used these inks from Clearsnap - these are water reactive dye inks with an extended dry time - they are wonderful for techniques and blending, and they've just released 12 new colors to the line! I love this combination of Mint, Inchworm, Tahiti, and Capri. Here's a closer look at the background - I love all those tiny dots! The paw prints were part of a set that coordinated with the Lattice background, a whole bunch of super tiny stamps that fit right in the intersections of the X shapes - but that set is sadly discontinued. Any tiny stamp will work though! 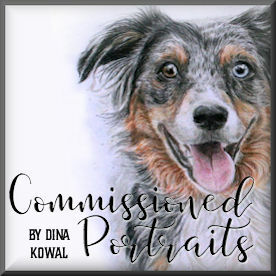 This is the set I used for the focal panel - if you're a dog lover, and especially if you have a special place in your heart for rescue dogs or a rescue organization, this set is for you! A portion of each sale goes to Whimsy's local rescue too. (I've donated cards to a rescue org before - these sentiments are perfect for those too!) If you are a cat person - they have you covered too! Check out the cat set HERE - so many cute sentiments! 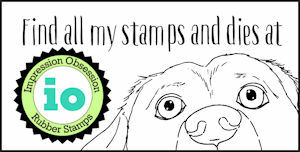 Learn more about Whimsy Stamps' Adopt Cats and Dogs campaign HERE. That's all I know today! Thank you for stopping by! There are so many amazing dies at Impression Obsession - this special Monday feature lets them have the spotlight! We hope you're inspired! This floral die is from the latest release - I used a favorite technique where you press the die into watercolor paper without cutting through, then flip the panel over and rub the raised lines with a white crayon or oil pastel. 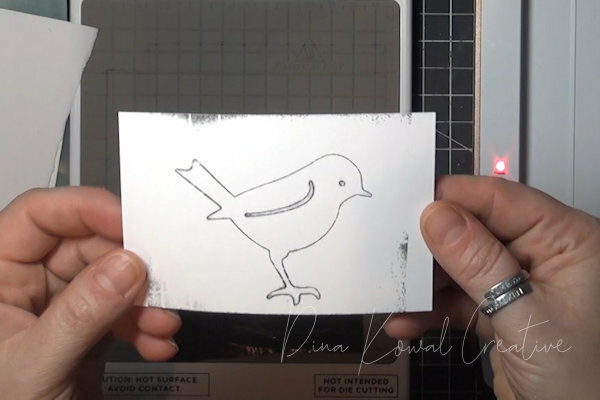 This creates a resist so you can color in the image using watercolors or other water media. I have a tutorial for the technique right HERE. Here's a closer look at the raised lines - you can see where they resisted my watercoloring. I used a larger brush (#10 round) to make sure I kept my coloring loose. This is the banner die I used - I stamped the sentiment on it, and then turned the straight side of the die across the cut to shorten it to a custom length. This is the sentiment set I used - it's one of my designs, and it's a fun mix and match set with lots of possibilities! The Impression Obsession team's challenge today is to create a project featuring adorable bunnies! I love bunnies... Evernote says that I have 148 bunny things (dies, stamps and stencils) - I'm not surprised. If this project looks a little bit familiar, you're probably remembering this card I shared a couple of weeks ago! I made them at the same time. This was another background made while I was testing some stencil brushes and those stencils are HERE and HERE. 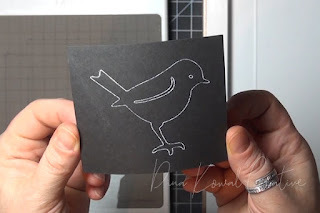 I made a quick tag from a gel print - this is one of the cardstock pieces I've used several times to clean off my plate. The sentiment is from this Easter Basket clear set, and that layered tag set is HERE. 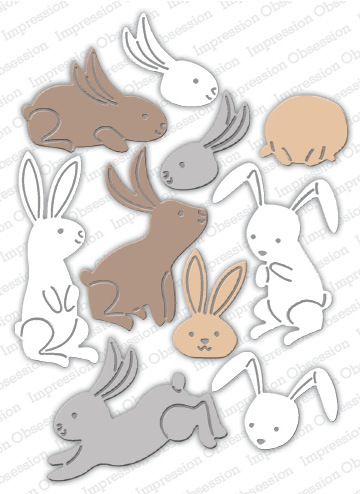 Here are those adorable bunny dies again - they're just so fun! 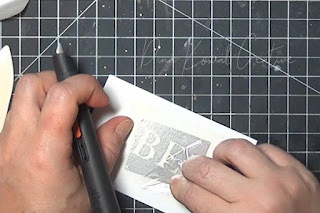 This week's tutorial over on Splitcoast is a great stepped-out process for creating a Layered Vintage Card! I pulled out a few stamps from my sewing collection to use, and I'll link them below. The background was stamped and embossed with clear powder, and then inked with several new Dyestress ink colors - it's sort of an odd combination but I love the new Bumble Bee yellow ink, and I wanted that to shine through. I shared a review of these inks HERE a few months ago, and the 12 new colors are available now! There are layers of inking and spritzing with water, some stenciling, spritzing through a stencil, and stamping as well. I used the new Cut-Align ruler in a couple of different ways on my card, and I love this - see that perfect 1/16" border around the button card and the ruler panel? Cut-Align. I did find that I had a little hard time seeing the 1/16" line because my light was to the opposite side of the ruler and the slot was casting a shadow onto the side I needed to see - but a quick adjustment of my light fixed that problem for me. I lined up the grid side of the ruler with my card edge to make sure my horizontal panel was straight, too. 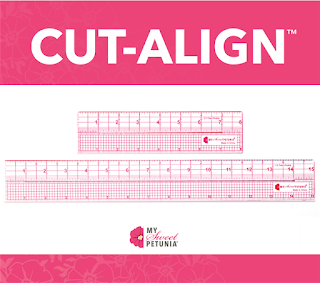 The Cut-Align rulers come in this set of 2 - each has a slot for cutting down the center, and a wide array of measuring and guide lines for precision cutting and trimming. If you're interested in trying the ruler out (or any other products from My Sweet Petunia! ), you can use code SCSCUT19 for a 15% discount! The stamps I used are all from my line at Impression Obsession - this was a fun collection to design!